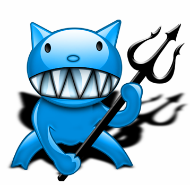 Demonii and OpenBitTorrent, the two most popular torrent trackers on the Internet, are now regularly handling up to 56 million peers - each. The operator of Demonii informs TF that limitations in the software used by both sites means a usable ceiling of around 35 million peers, but the addition of new hardware has enabled a massive increase to today's levels. If one needs to find a physical location, sat navs, smart phones or even the humble map or sign post should help to shorten the process. If one wants to find the precise location of content being distributed on BitTorrent, there is no better solution than querying a tracker. When a user loads a .torrent file into his or her torrent client for the first time, the software looks inside to find out which trackers know about the torrent. Then the torrent client contacts the tracker to find out which other clients (or ‘peers’) are already sharing the content. This enables all sharers to be put in contact with each other to upload and download content. It’s an elegant system that works exceptionally well. Some of the most influential trackers of recent years, all of which use the same software, have had their share of ups and downs. Having disappeared last year, PublicBT appears to have been consigned to history, OpenBitTorrent has just returned after months offline, and Demonii battles on, legal threats not withstanding. Earlier this month we reported how Demonii smashed its own record by tracking in excess of 36 million simultaneous peers while managing 4.8 million torrents. But just over three weeks later, the tracker is again in the record books. New stats published by the site show that Demonii is now tracking a seriously impressive 56 million simultaneous peers making around 3.7 billion connections every single day. That’s a 55% uplift on the record set earlier this month and 86% more than the figures published in February. And, as can be seen in the image below, the number of torrents being tracked is up to, from 4.8 million to 5.2 million. After its recent return, OpenBitTorrent is riding high too. Although the site isn’t as open with its stats as Demonii, the tracker is also handling between 50 and 52 million peers (approx 36m seeds and 16m leechers) while handling between 5.2 and 5.4 million torrents. From previous discussions we know that the OpenTracker software used by both sites tends to max out at around 35 million torrents, so what has enabled these massive boosts in recent weeks? “The reason for the sudden spike is due to the fact that we have upgraded our infrastructure,” one of Demonii’s operators informs TF. With two servers/trackers now working in sync the numbers of peers have increased dramatically. But despite Demonii’s efforts, yet more ceilings may soon be reached. “We are estimating that there are still limitations, this time on one of the two servers rather than the software. One of the two servers is getting maxed out at 100mbit (which is its max),” Demonii explains. For now the tracker will continue using OpenTracker since in Demonii’s own words “it’s the best software out there”, but changes could be made in the future. “We are still working with Chihaya (github) to hopefully have their software replace OpenTracker, but it’s not ready just yet,” Demonii concludes. Even though the community transparently falls back on the slower DHT and PEX when the main public trackers go down, it is clear that the demand for fast and dedicated public trackers is still huge. As always, however, the BitTorrent ecosystem is still served by a relatively small number of trackers and that doesn’t look like it will change anytime soon.